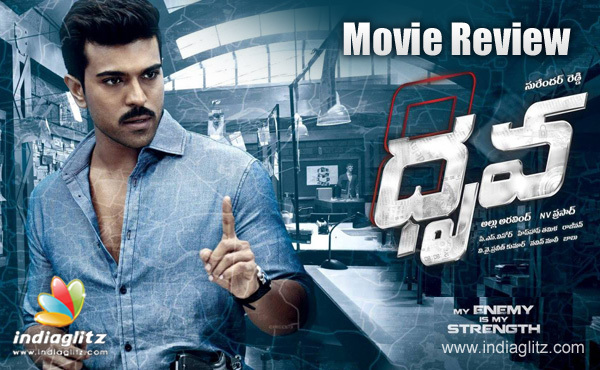 Dhruva (Ram Charan) and his group of friends are IPS officers in probation who embark upon a secret night mission to nab criminals, be they kidnappers to chain-snatchers. While others (played by Navdeep & Co) in the team get frustrated after knowing that the criminals they have been helping the cops nab by risking their lives getting scot-free due to the loopholes in the system, Dhruva has his own secret mission. With his research, Dhruva has already identified that most of the seemingly small-time crimes actually hide behind them organized conspiracies. He decides to destroy the patron behind the organized crimes after cracking the formula of what goes behind. The patron happens to be a genius scientist and ruthless businessman Siddharth Ambhimanyu, played by Aravind Swamy, whose big bang mission is to prevent generic medicine manufacturers from gaining foothold in India. The curtains are now raised for a battle of wits between Dhruva and Siddharth when the former wills otherwise. It's all about each of these working to outwit each other at every step. The good thing for us audience is that you never can predict who will be a step ahead and how. First things first. The three best things about 'Dhruva' are: 1. There is no flashback. 2. Every episode (almost) is like a mini-climax. 3. The dialogues that bring out the battle of wits in a tantalizing manner. 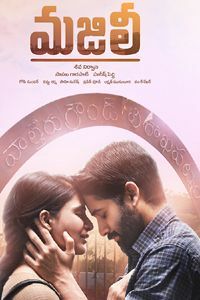 To the credit of director Surender Reddy, he brings out a confident, faithful, unpretentious remake that doesn't over-indulge its intelligent characters. This is an achievement in itself when a big star is the hero. When Ishika (Rakul Preet Singh as Dhruva's friend/partner) talks to Dhruva about his weakness, you are at a loss to understand which element to admire most. In one scene, all of these occur: the heroine's character is elevated as befits a well-read, career-oriented woman; the conventional idea of the hero losing confidence in his fight is projected in such a manner that the fear is told to be rooted in his imperfect personality; in one stroke, the villain now comes across as better than the hero in a certain respect. This scene defines the film 'Dhruva'. 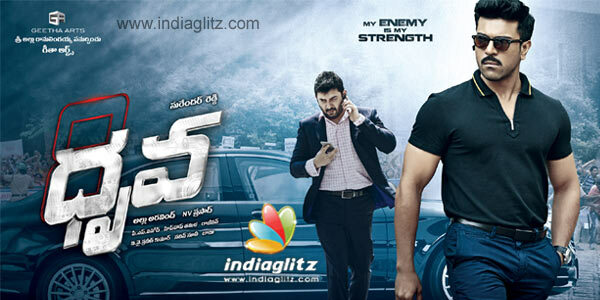 Look at the way Dhruva's intelligence is highlighted. When he asserts that the news in Page 2 is related to that on Page 6, he is a Noam Chomsky calling out a capitalism that controls our way of life. When his colleague says that his social views are thanks to Dhruva, the hero is a multi-dimensional professional whose persuasions are not limited to a cop's job. Above all, when he throws a surprise offer at Siddhartha Abhimanyu in the climax, you know he is not a blood-curdling Saviour, but a strategic thinker whose concern is the system, not an individual. He is a creative solution-seeker, not a ritualistic protagonist professing Pyrrhic heroism. Such is the brilliance of this script, originally written by Subha and Mohan Raja. As the characterizations of the hero and his antagonist go, 'Dhruva' should be counted among the very best in recent times. Just as you wonder what is the point in risking their careers when they are anyways going to be posted in some days' time, you realize that without the secret nightly missions, Dhruva wouldn't have known who to target without losing time as soon as he takes the posting. A layer that you wouldn't have thought of if it were not there, but which you will want to praise because it's there, is that of the equations between Posani Krishna Murali and his son Siddhartha Abhimanyu. It's nothing short of a blessing that there are no formulaic doses like comedy. Everything is situation-driven and script-based. Vema Reddy's dialogues (largely a translation of the original's) are a big plus. This is Ram Charan's one of the best-ever performances of his career, maybe second best after 'Magadheera'. He is very convincing as an intelligent character with his own vulnerabilities. His measured expressions show that he knows he always have to be on the guard, but when he gives out that occasional relaxed smile, he calms down the audience as well. Arvind Swamy, retained from the original, looks that unconventional beast part. He keeps his expressions restrained, but when he smiles recklessly, he reeks of ruthlessness. A maniacal and pathological personality who doesn't shout or make his eyes red, his last act is phenomenal at the level of conceptualization. 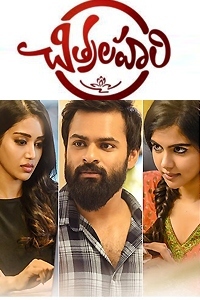 Rakul Preet gets to up the glamour quotient in 'Pareshanu Raa', whereas Cherry gets to be the Mega hero he is in the song 'Neetho Ne Dance Tonight'. Others like Posani Krishna Murali, Navdeep & Co, etc do a good job. Hiphop Tamizha's BGM may not be that underplaying as in the original, but it's snazzy nevertheless. 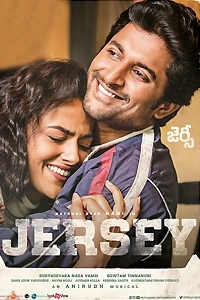 PS Vinod's cinematography is rich, helped by editor Naveen Nooli's cuts. 'Dhruva' is a self-contained remake with excellent characterizations, arresting episodes, impressive dialogues and fine performances.